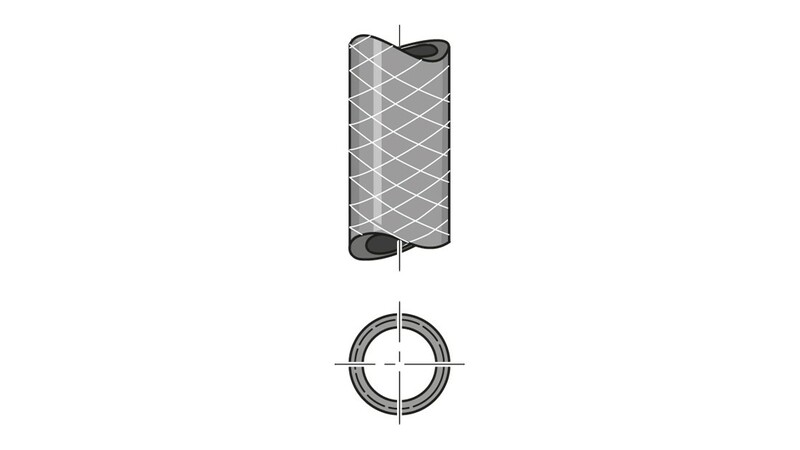 We recommend that only original tubing is used so that the mechanical connection of the compression fitting and the pressure rating and chemical resistance are ensured. Sold by the metre. Supply with food-use certification is available upon request. Note: With socket-welded and PVC-bonded rigid PP and PVDF piping, pipes and fittings of pressure rating PN 16 or PN 10 bar should be used. Please note: PVC soft hoses do not offer the same resistance as rigid PVC. Always note the resistance of soft PVC and the cleaning instructions for use in food applications. * Admissible operating pressure at 20 °C in accordance with DIN EN ISO 7751, subject to chemical resistance and correct assembly. Stainless steel no. 1.4435, available by the metre.